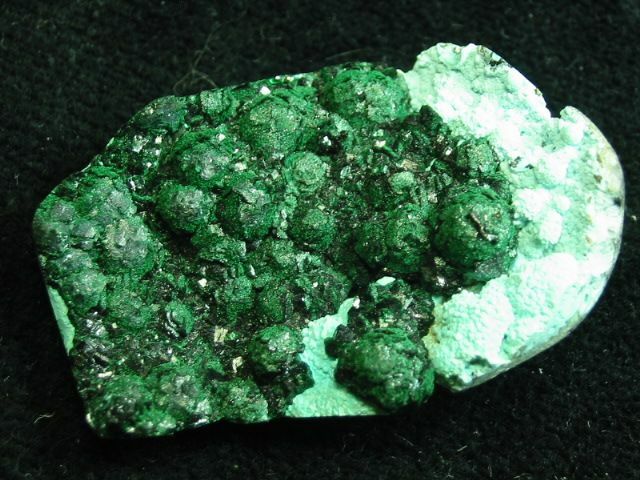 Go to AVAILABLE, HEARTS, LARGE STONES, PAIRS, PREVIOUS, NEXT. These are some of the Malachite cabochons we offer for sales. We charge one shipping cost for all that will safely fit in a Small Priority Flat Rate box and will ship to the U.S. as well as Internationally. First Class Shipping available upon request. 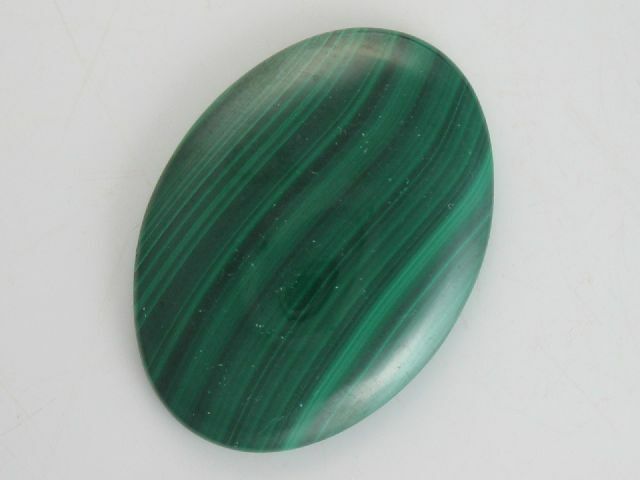 This is a Malachite cabochon - nice slightly swerving lines. 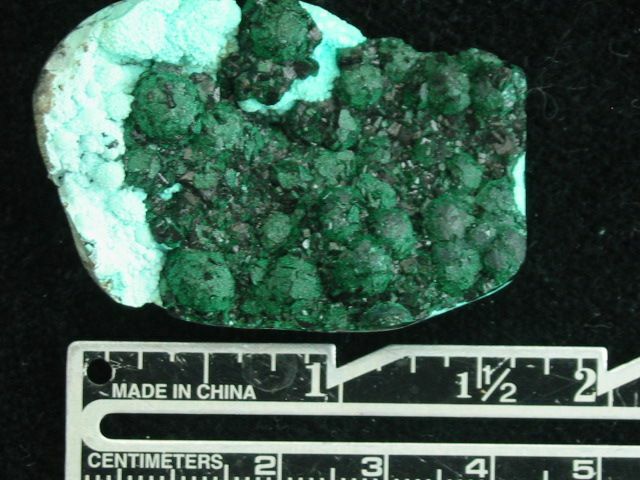 It is 39 x 28 mm, and 5 mm thick. 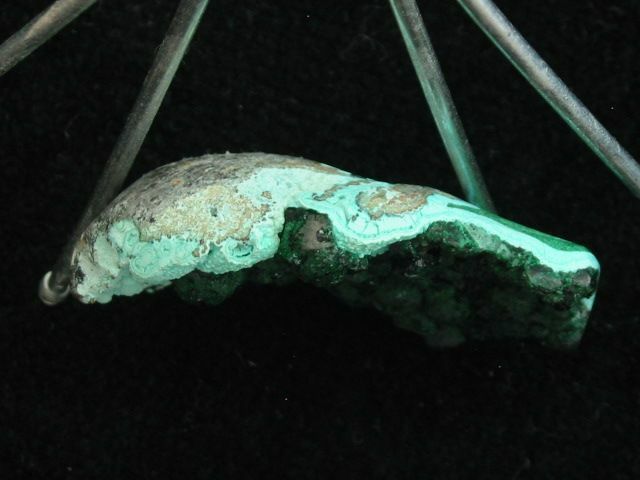 It weighs 69 carats. All ready to be mounted in the setting of your choice. First Class shipping available upon request. 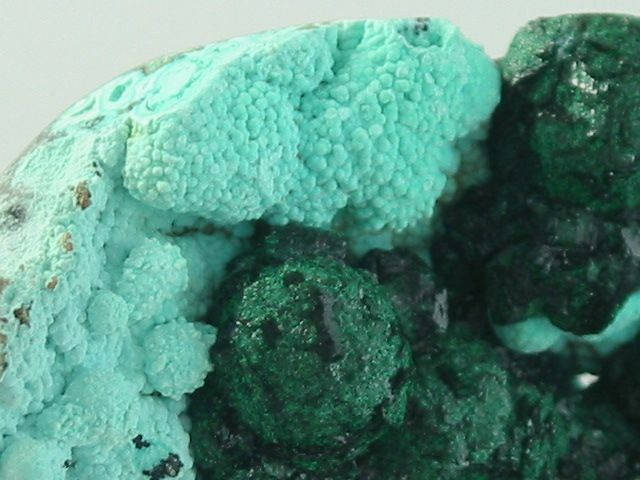 This is a very neat piece of Botryoidal Malachite on Chrysocolla Druse. 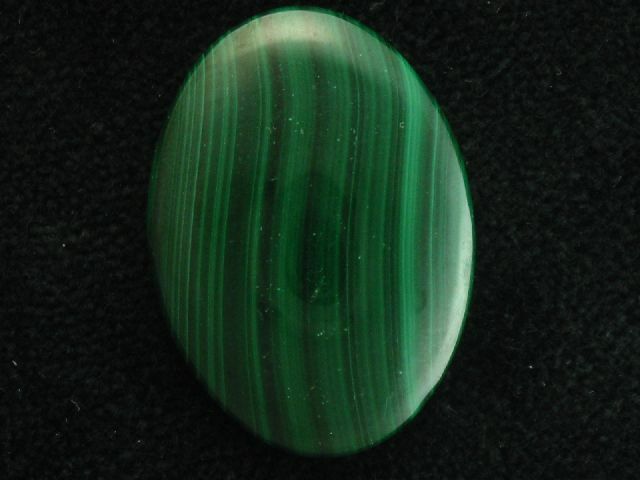 The back and edges have a light, rounded polish, so it can be wire-wraped as a cabochon if desired. 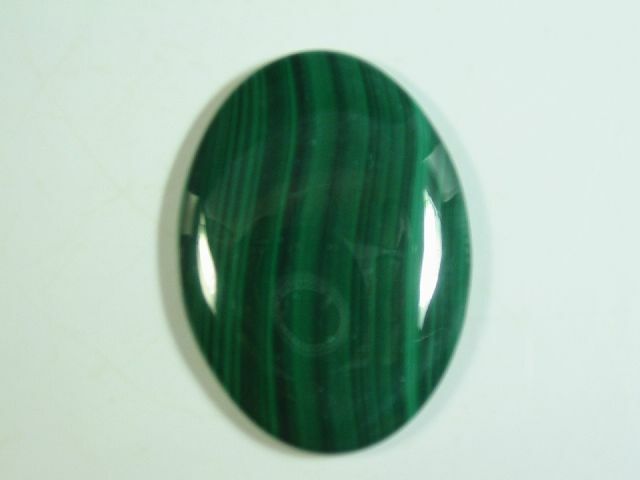 It is 1 3/4" x 1 1/8" (48 x 30 mm) at its wider points and is between 4 and 15 mm thick. 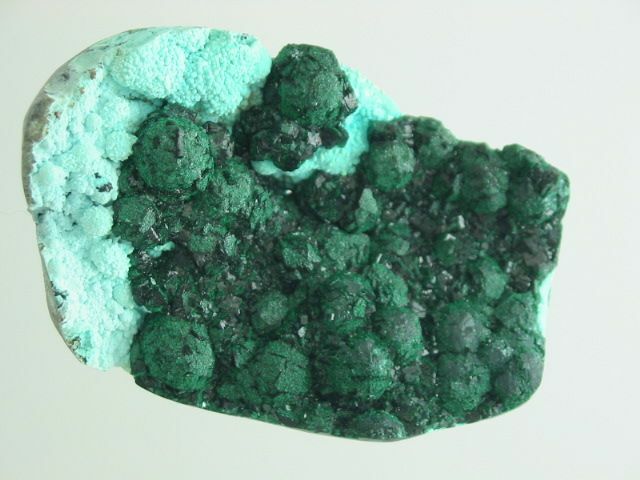 It weighs 84 carats, or 17 grams (6/10 of an ounce). First Class shipping available upon request. 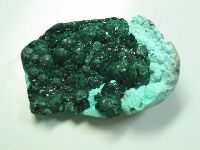 Azurite / Malachite Cabochons - More Available! 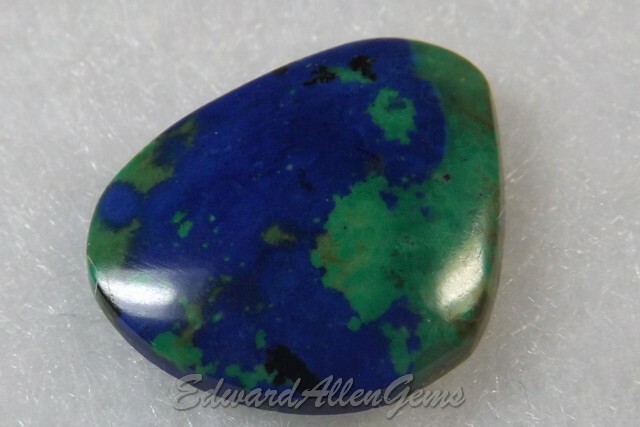 This is a small, free-form Azurite cabochon with a little Malachite. It is one of a number of stones we acquired through an Estate collection and not cut by Ed. While it is sold, we have a few more. If interested, Email us and we will get more up soon. 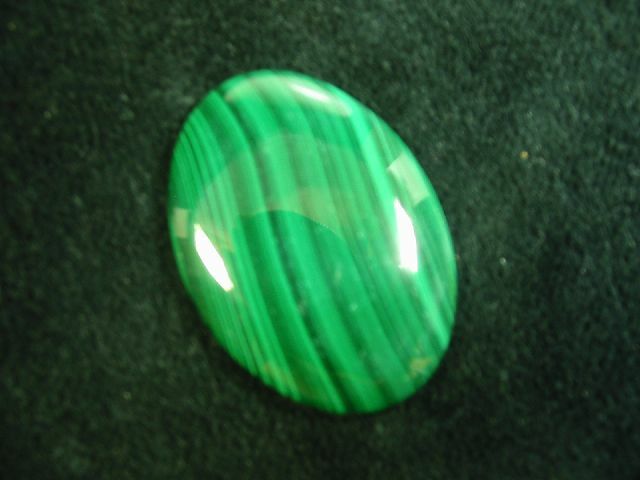 AVAILABLE, LARGE STONES, PAIRS, PREVIOUS, NEXT.